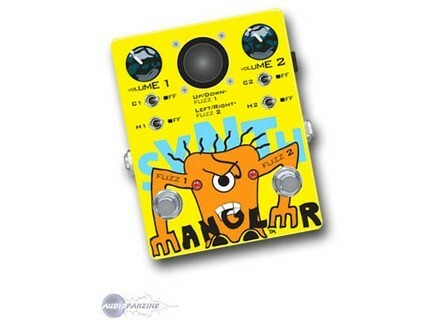 Synth Mangler, Fuzz pedal from OohLaLa Manufacturing. 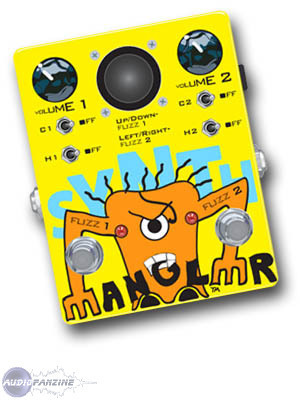 The Synth Mangler is basically made of two Soda Meiser-style fuzz in one box, each with its own volume control, hiss and chaos modes. The intensity of both fuzz can be controlled at once through the joystick. A built-in photo eye even allows the Synth Mangler to be used as a stand alone noise generator. Korg releases new tuner models Korg has announced new releases in its reputed line of tuners with two new models dedicated to bluegrass and hawaiian instruments. Fender Classic Player Jaguar Special HH Fender introduces a Classic Player Special version of its Jaguar HH. Vox releases new DA5 color options VOX Amplification has expanded the color options for its popular DA5 battery-powered digital amplifier.